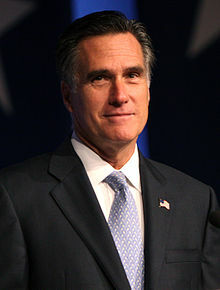 (PRLEAP.COM) In a presidential race that is growing increasingly tight, Mitt Romney has been making progress in the polls and online, according to internet marketing firm Spartan Internet Consulting. This year's race has been hotly contested but Barack Obama has held a commanding lead in the Spartan Internet Political Performance (SIPP) Index due to his history online. The SIPP Index has regularly reported a split of 80% to 20% in Internet market share in favor of Obama, but this week's report details an upward trend for Mitt Romney. Mr. Romney has eclipsed the 20% mark and currently sits at 21.5%, with Obama's share dipping to 78.5%. It is the highest mark for Romney since April 15 and comes on the heels of consistently high growth in social presence as well as high levels of news coverage for both candidates. As July rolls on and the conventions approach, voters will likely become much more engaged and numbers for both candidates could change dramatically. The SIPP Index will be tracking these changes and providing current and relevant analysis regarding the online activity and presence of both candidates and how it will affect the race. This week's results can be found here. Spartan Internet has leveraged its web expertise to objectively develop the SIPP Index to quantify 650 relevant factors into a single representative score for each candidate's overall internet market share out of 100%. The 650 factors are derived from numeric values from across the Internet such as social networks, candidate websites, and blogs, news media and search engines. The resulting score is indicative of each candidates overall online ability to reach individuals and connect on key issues.